As a kid growing up and playing baseball in Florida, Chris Okey was a catcher.Ã‚Â He loved being involved in the game. He wanted to be in the action. He enjoyed working with pitchers. The so-called Ã¢â‚¬Å“tools of ignoranceÃ¢â‚¬Â were a blessing to him. 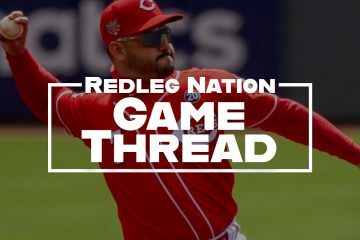 By now, most of Redleg Nation knows who Chris Okey is. The Cincinnati Reds drafted him in the second round of this years draft. Along with first round pick Nick Senzel, Chris reported to Billings (Rookie League) initially and then both were promoted to Class A Dayton. Like Senzel, Okey was a college guy. 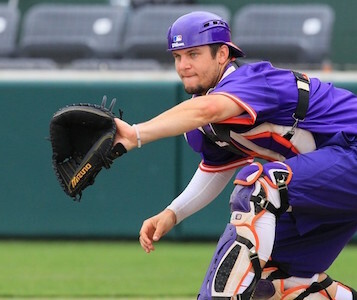 Okey wasÃ‚Â the catcher for Clemson for three years and his progression was remarkably similar to that of Senzel– not by leaps and bounds but a positive movement forward. Okey opted for Clemson after initially being drafted by San Diego after graduation from high school. Chris had tied to Clemson. His mother was a cheerleader there. His grandfather was a booster. It was the right fit for him. So how ironic was it that Chris Okey was selected by the team that had Johnny Bench as its catcher from 1967-1983?Ã‚Â A catcher rightly considered as one of the best of all time? 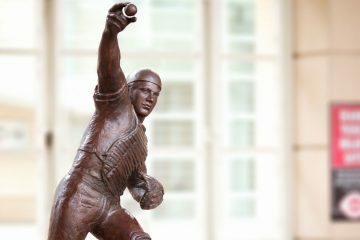 In the brief twenty minutes I spent with Chris Okey, I can say this. He’s a pure catcher. He’s smart. He’s only going to get better. And it will be a good day for him when he meets Johnny Bench. I enjoy your writing. The Reds can never have too many catchers in the pipeline; it’s the center of the game. Your IU pullover looks good. I remember my student days in Bloomington. Thank you for the wonderful glimpse of one of our most exciting rookies. Was there anybody on the opponents team who knock your socks off? I saw Chris play Thurs eve against the W MI Whitecaps. he didn’t have a great game but he hung in there. Looked like he and the pitcher (Rainey) were not on the same page with the signs. Rainey and the reliever Adams were all over the place and Okey did a good job just keeping the ball in front of him. Very much how I feel about the position. Nice interview with the young man. I look forward to seeing him progress through the system. I’ve always admired guys who want to put on all that catching gear in mid-80’s heat and humidity and then do the job well. He is no Okie from Muskogee, but an Okey from Altamonte Springs. I was a little surprised by the Reds drafting him in the 2nd round, after drafting T. Stephenson in the first round in 2015. But glad they did draft him. He was called an “unquestioned leader” of Clemson’s baseball team. The Reds need a few leader types. Will be watching his progress over the next few years and rooting for him to succeed. This is great stuff, John.